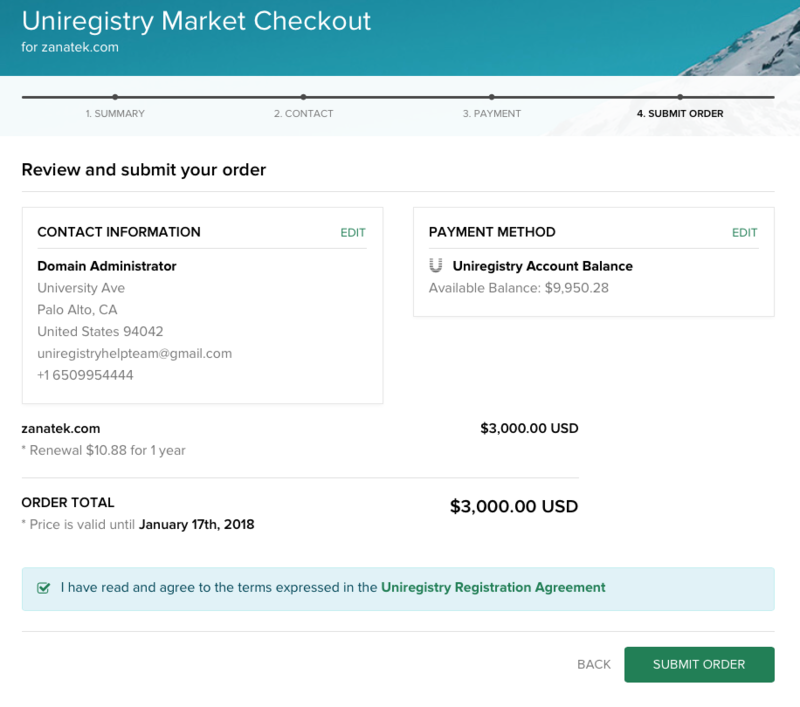 Buy It Now domains are premium domains listed by sellers in the Uniregistry Market which are available to purchase immediately at the list price. 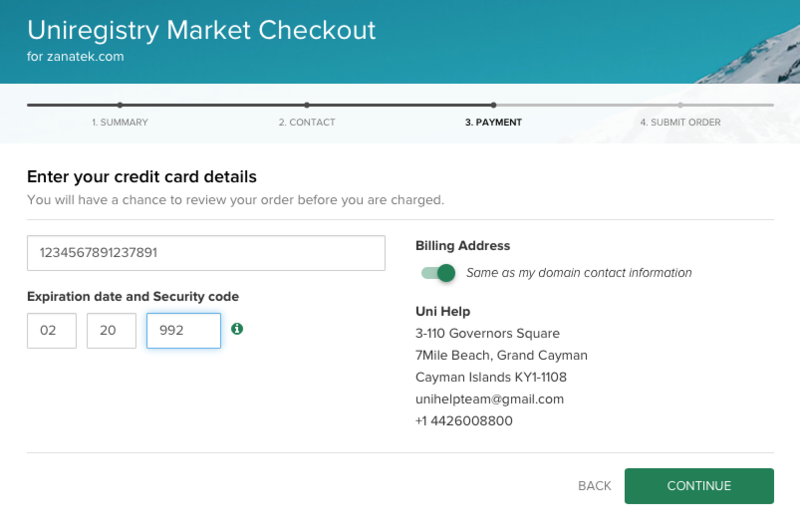 If you see a domain you want to buy, simply click the “Buy Now” button to proceed to checkout. 1. 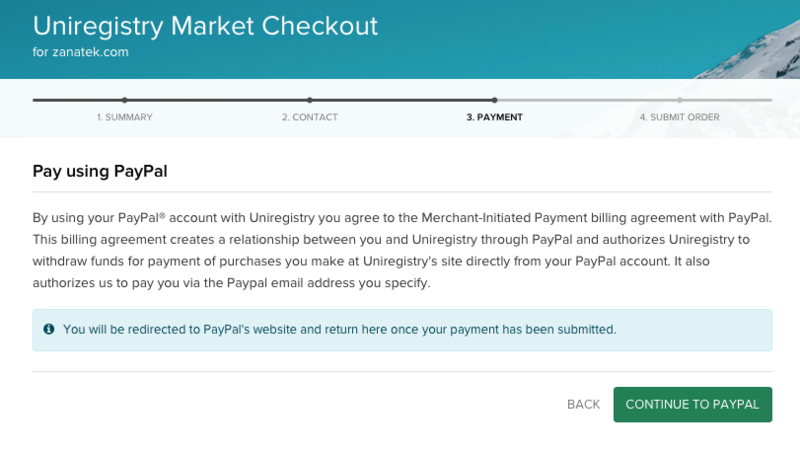 CLICK 'Buy Now' to initiate checkout. 2. 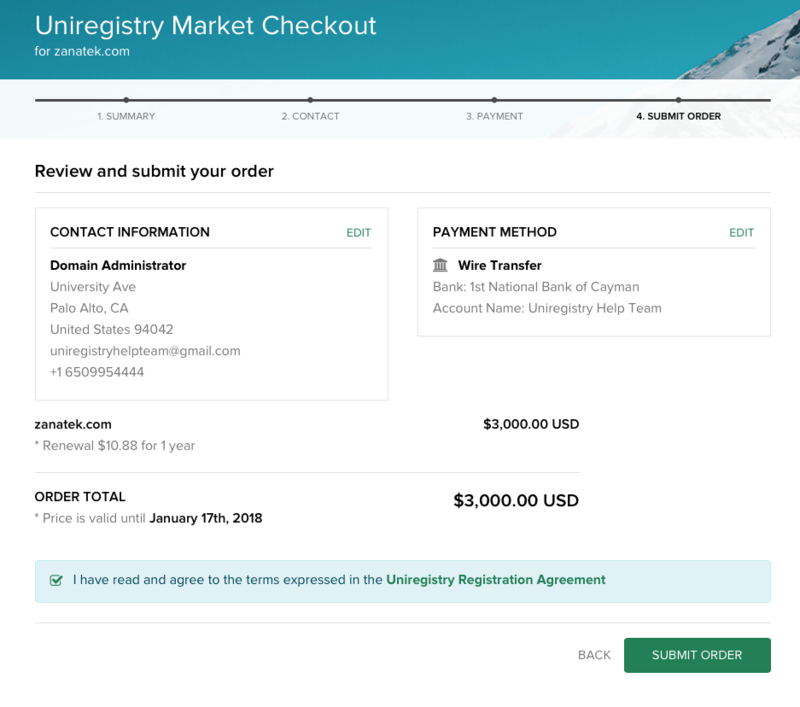 ENTER your information to create a new Uniregistry account or click 'Login Here' at the bottom of the screen to log into an existing account. *The option to pay by account balance will not be visible if you do not have any funds in your account balance. Fund your account balance or click 'Add Funds' where there are insufficient funds, to enable this option. 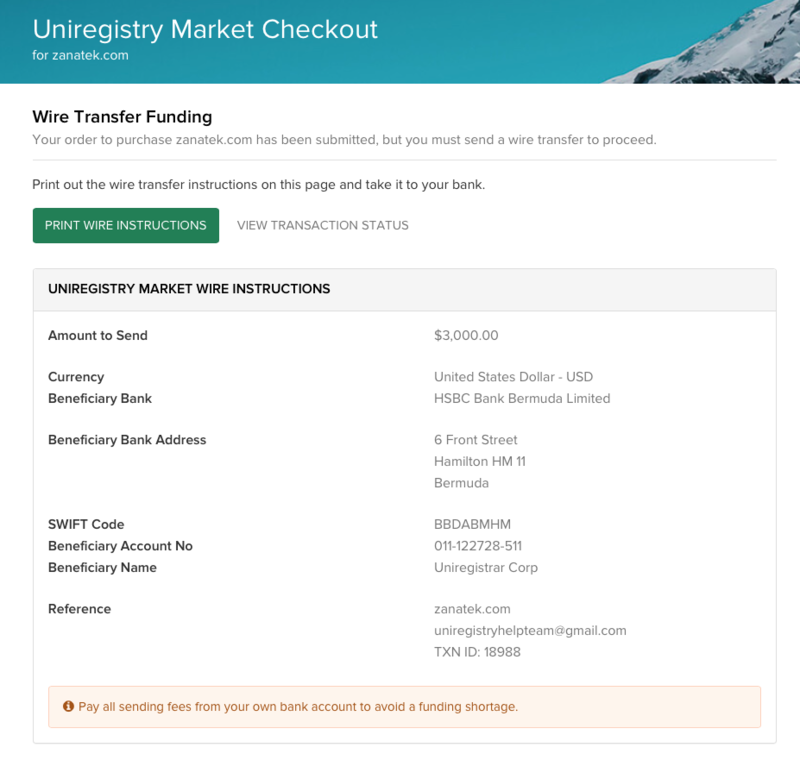 4d (2) Use the wire instructions provided to create the wire transfer of funds from your bank to Uniregistry. Once the funds are received in 2-3 days, we will apply them to your transaction and begin the transfer of the domain to your Uniregistry. *You must click 'Submit Order' in the previous step for us to know what your wire is for. If you send funds without creating a reference in the system, the additional processing time will create a delay in completing the sale. 5. 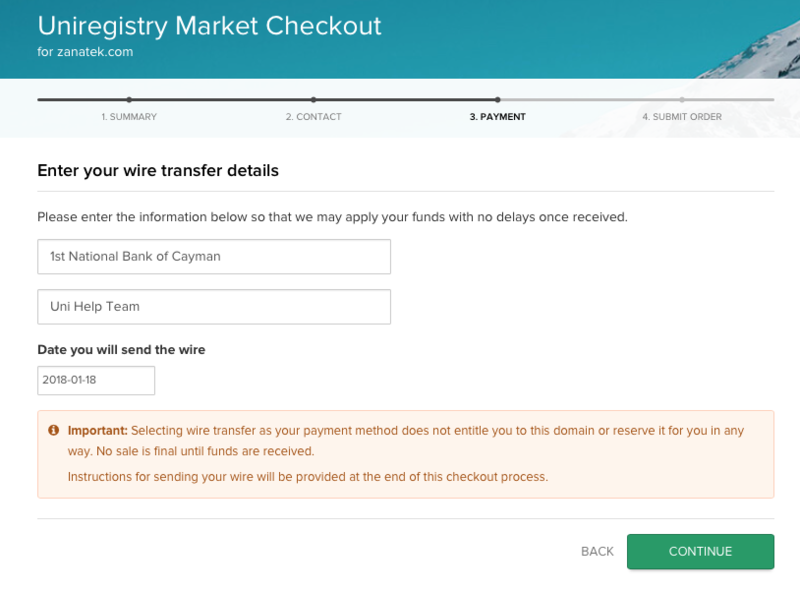 After processing payment the domain will begin transfer to your Uniregistry account.